Large decorated “chalkboard” sign announcing the new couple! Photographer at ceremony site with approximately 40 photos taken of the ceremony and a few poses of the bride and groom, immediately after the ceremony. Photography is available for upgrade, see additional information on the bottom of the page. Our Florida weddings on the beach are a Pinterest lovers dream. 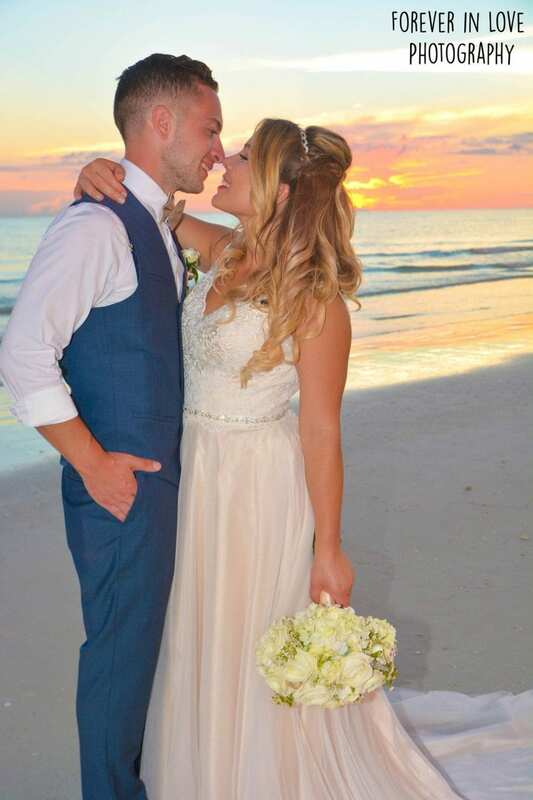 With timeless and upscale decor at prices that won’t break the bank, you can sit back and enjoy having one of our Florida weddings on the beach. Combine your wedding and honeymoon and save even more money! Florida has many unique places to visit and all of the beaches are just a short drive from Orlando. Enjoy a beach wedding, and honeymoon in Orlando to visit Disney, Universal and many other incredible attractions. Florida weddings on the beach allow you to be surrounded by the people that matter most. Invite the friends and family that mean the most to you without having to break the bank. 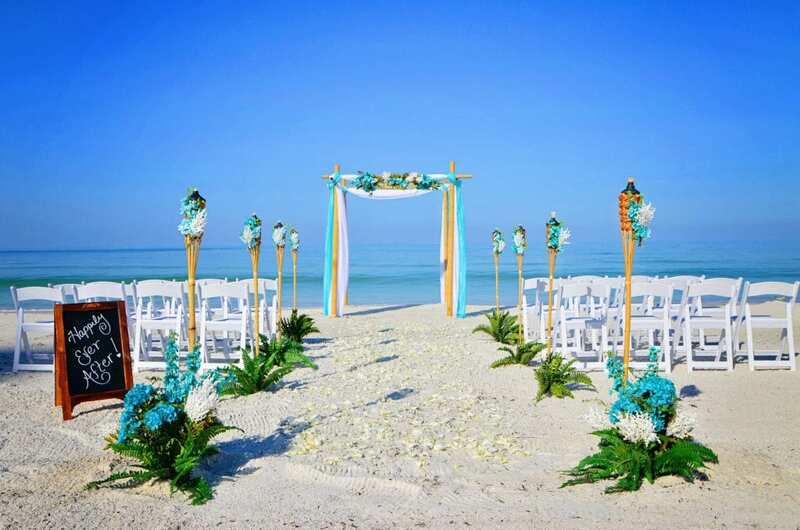 Contact us to start planning one of our Florida weddings on the beach.